At almost 100 km from Valencia and a little more than 80 from the city of Alicante –less than an hour’s drive–, going North through Elda and Villena, we can find the town of Bocairent, maybe less known than its neighbours Alcoi, Ontinyent and Cocentaina. Today, however, the Top School Elche team suggests a unique getaway for working out our legs on its steep and winding alleys and on the privileged green space of its mountains. 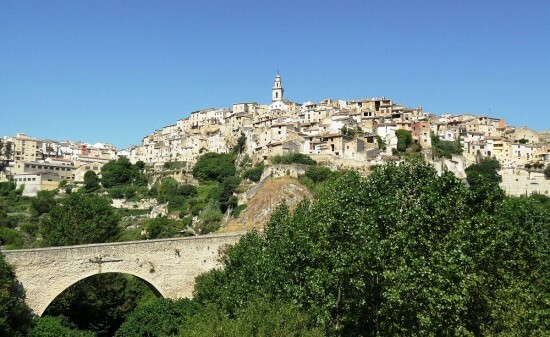 Bocairent is part of the Vall d’Albaida region, and it is known for its characteristic steepness at the centre of the Sierra de Mariola valley, which is protected as Natural Park. Montcabrer is the highest point in the park, at 1390 metres. Its beautiful environment is perfect for visiting all year long, and it is even more perfect around this season: if it happens to snow, the image of the snowed town and its silhouette over the hill is just breathtaking. In fact, one of its most important patrimonial elements is related to Winter: the ice caves, scattered all around the mountains and constructed to store snow between the 16th and 20th centuries. At the top of Mariola, the Tower of the same name can be found –an old Arab sentry tower. Other unique elements can be found across the mountain range, such as country houses and shrines, among the entire natural heritage, rich in natural springs –not in vain, the Vinalopó river is born at its heart– and floral variety, especially aromatic and medicinal herbs. Regarding the tree population, pines, yews and holm-oaks stand out, inhabited by protected Iberian fauna, like the owl, the golden eagle and the peregrine falcon, among others. A trip through Mariola is nature in its purest form. Bocairent’s Arab past has left its mark on the city. A tour around the steep and stepped streets of the medieval urban centre, through the Barrio de la Villa neighbourhood –the oldest and most characteristic– is proof of this. This part of the town connects the top of the valley to the mountainside. 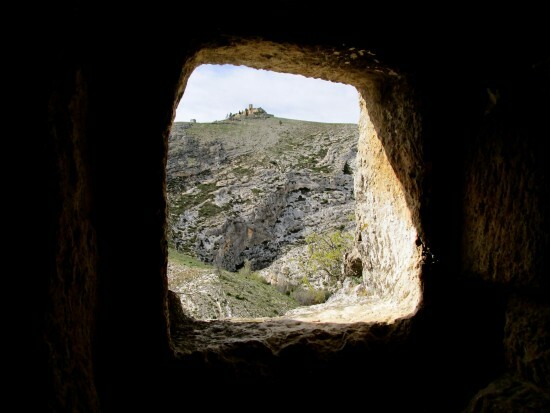 And, very close, above the Barranco del Fos cliff, the famous Covetes dels Moros can be found: a group of manmade caves with window-like holes created in the 10th century, although their dating, use and origin are not clear. They are believed to be storage rooms once owned by the Berber North-African peoples. In a town with so many Arab remains, the Moors and Christians festivities cannot be missed, celebrated in honour of their patron saint, Saint Blas, on the first weeks of February. These festivities have been declared of National Tourist Interest. Certainly, a colourful and varied getaway, isn’t it?